Trinity Mirror is considering an appeal after a High Court judge ordered the publisher to pay "very substantial" damages to celebrities Sadie Frost, Paul Gascoigne and others for phone-hacking. The judge, Mr Justice Mann, yesterday ordered payouts totalling £1.2 million after considering the scale of intrusion suffered by the eight claimants. The newspaper group had been sued by ex-footballer Gascoigne (£188,250), actress Frost (£260,250), the BBC executive Alan Yentob (£85,000), Coronation Street actor Shobna Gulati (£117,500), flight attendant Lauren Alcorn (£72,500), TV producer Robert Ashworth (£201,250) and EastEnders actors Lucy Taggart (£157,250) and Shane Richie (£155,000). 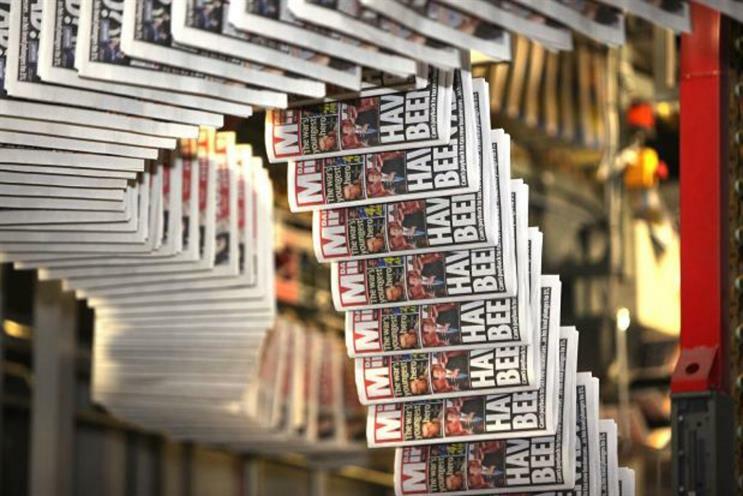 Following the ruling, the publisher of the Daily Mirror, Sunday Mirror and People newsbrands has more than doubled the amount of money it had set aside to deal with around 75 known claims from £12 million to £28 million. However, Evan Harris of the press lobbying group Hacked Off, said: "We predict that there will be hundreds of claims in addition to the existing 75. Mirror Group has underestimated what it needs to set aside by a factor of ten." A Trinity Mirror spokesperson told Media Week: "Trinity Mirror notes the judgment released today by Justice Mann. We have said all along that we would pay full, fair and proper compensation to the claimants and that is not in dispute. "However, damages need to be proportionate to compensation awarded in previous cases of physical and mental suffering. We are currently reviewing the judgment, which is of some length, however our current view is that the basis used for calculating the damages is incorrect, and as such we are considering whether to seek permission to appeal." Steven Heffer, partner at legal firm Collyer Bristow, is among those to believe this week’s ruling represents a "turning point" in the phone hacking litigation. He noted that while there have been several hundred claims against News Group Newspapers (NGN) in relation to the News of the World and the Sun, and Mirror Group Newspapers (in relation to the Daily Mirror, Sunday Mirror and People), this is the first time a judge has made a public ruling and damages awards, and they have been set at a level significantly higher than many previous settlements and awards. In relation to Rupert Murdoch’s News International (now News UK), apart from the litigation, many cases were dealt with under the Compensation Scheme and were never made public. The strategy of News International has always been to keep settlements confidential, where possible, to avoid cases going to court where there is a danger (as in the Mirror cases) of a judge awarding significant amounts in damages in a public forum. However, Heffer noted the warning signs had been available from as far back as 2008, when Michael Silverleaf QC, acting for News International, advised the corporation that "the court might award a sum at any level from £25,000 to £250,000 or possibly even more…"
This opinion, normally legally privileged and therefore secret, came into the public domain when its contents were revealed to the Culture, Media and Sports Committee in its consideration of the phone hacking scandal and in particular the NGN settlement with Gordon Taylor in 2009. Heffer said: "Whilst reports have suggested that the awards made are astonishingly large, the size of the awards cannot be a complete surprise. They do after all reflect the advice which News International received many years ago, hence the tactics it applied to avoid cases coming to the Court. "Mr Silverleaf’s opinion made the point that a judge hearing the claim would be trying to reflect 'both disapproval and deterrence'. These were after all criminal invasions of privacy and the Court heard extensive evidence of the impact upon the personal and professional lives of the victims." The previous ceiling for privacy awards was thought to be the Max Mosley Judgment where the judge (after trial) awarded £60,000 for the invasion of privacy in that case.